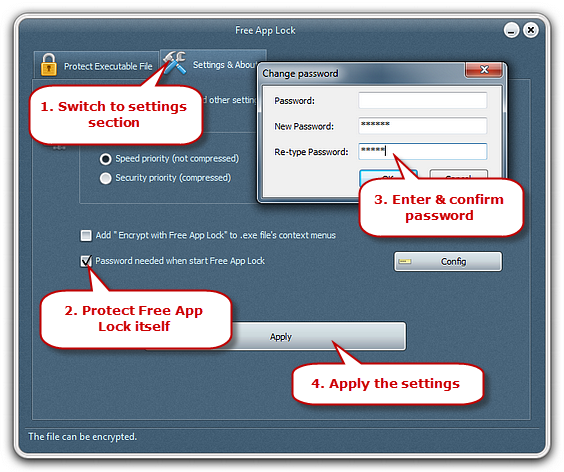 Free App Lock – Lock any apps for authorized using, privacy & data protection. 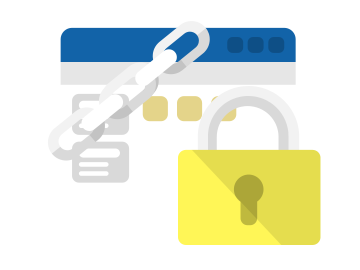 Lock any apps so that no one can use them without your authorization, protecting your privacy & data from potential risks! Free App Lock is convenient security software to lock the apps in your computer to prevent others using them without your authorization or peeping into your privacy. 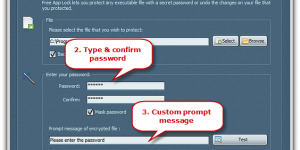 It can lock programs like IE, Firefox, Skype, Outlook, AOL, AIM, computer games and many others with customized password. 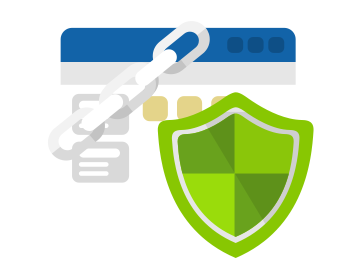 Free App Lock not only provides you with application privacy protection but also is integrated with two encryption modes for your choice: Speed priority mode and Security priority mode. 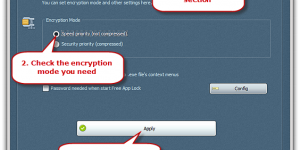 You just pick the programs you want to encrypt, enter the password, confirm it and then encrypt! 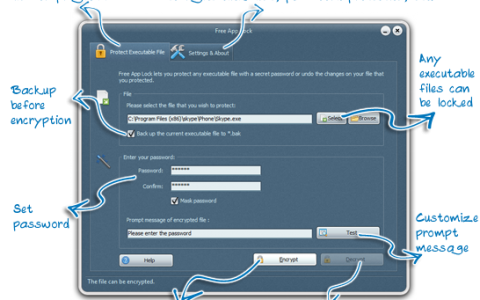 This free application locker manages to instantly and easily lock access to applications in the computer. 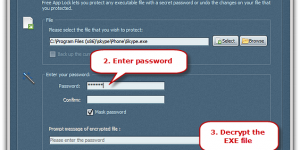 Also it provides users with double safeguard by encrypting the lock software itself. Are your kids at risk of some computer & online game addiction and want to control them? This free application lock helps lock any EXE programs of computer games & online games like World of War craft, League of Legends, Warhammer, EverQuest, etc. to protect your kids from game addiction. 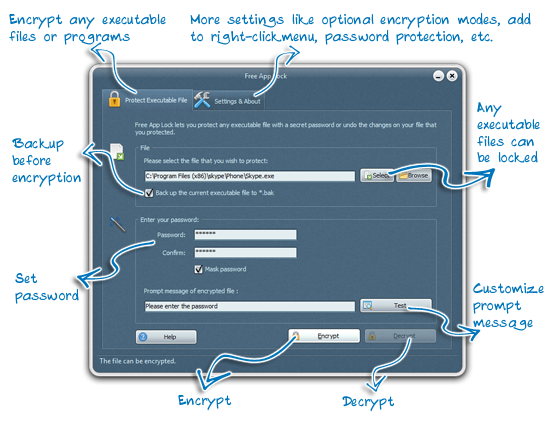 This program encrypter has the ability to lock your Media Players to prevent the audio & video files you played from peeking, and password protect your web browsers to prevent access to the internet for unauthorized persons to get your privacy, important bank password and so on through browser history, cookies, cache and so on. Free App Lock is a computer security protection and is great for keeping people out of your identity theft or fraud by some chat tools. 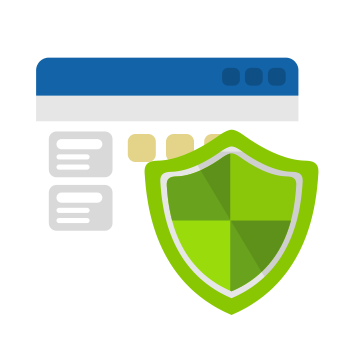 It can lock Skype, Contacts, Gmail, Facebook, MSN, WeChat and any app you choose, with abundant options, protecting your privacy. Now, no one can snoop into your private chat message. 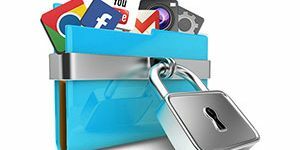 This free application locker brings you a total solution to protect secret information from kids by locking various files. You can lock your important bank, programming or office applications so that the kids can’t open them and make them in a mess. Free App Lock’s backup function helps save a spare application in case any error occurs or you forget the password you set for the application and can’t unlock the encrypted one. 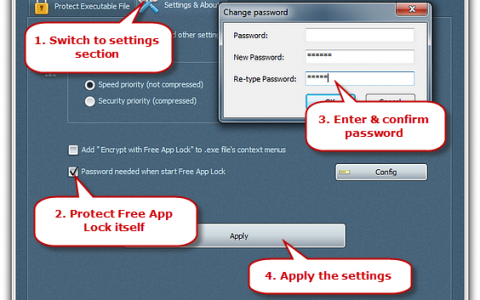 Trying to open Free App Lock software again and again when you want to use it may be a troublesome process. Don’t worry. 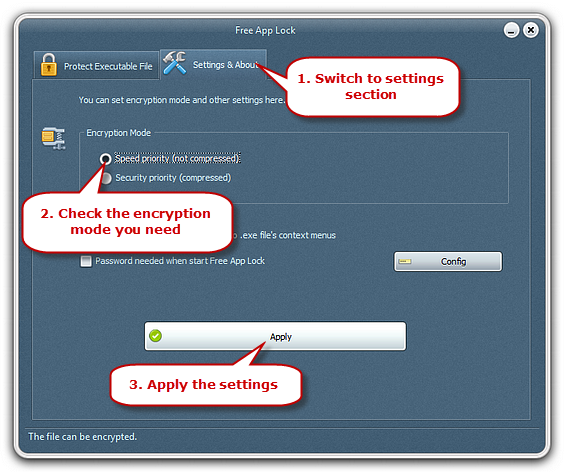 The freeware allows you to add the item “Encrypt with Free App Lock” into Right-click menu so that it becomes very convenient to encrypt applications. 100% clean and free app locker – Free App Lock is completely free and does not contain any malware. It is not only able to work efficiently but quite easy to use. 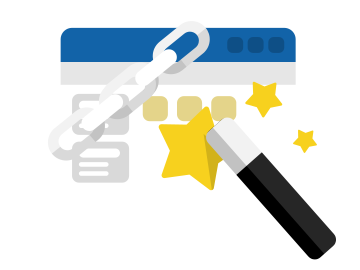 By following the brief instructions on the uncluttered interface you can lock any executable program you want with no prior experience required. 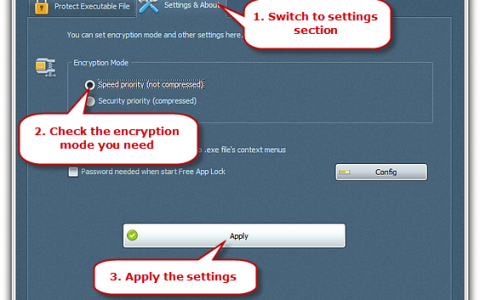 How to Set Encryption Mode?